Ubadah Ibn As Samit RA – The Black Man with the purest heart. Ubadah ibn Aṣ-Ṣāmit RA was a companion of Rasulullah SAW and later one of the successful commanders of Rashidin army and served under the Rashidin Caliphs Saidina Abu Bakr As Siddiq RA and Saidina Umar Al Khattab RA. He was one of the main field commanders during the Muslim conquest of Egypt, sent with reinforcement from Medina. Ubadah ibn Aṣ-Ṣāmit RA served in Egypt as a corps commander from 640 to 642. Ubadah bin As-Samit al-Ansari RA was one of the first twelve Madinan who embraced Islam after meeting Rasulullah SAW in the valley of `Aqabah, where they were all appointed Nuqaba’. Ubadah ibn Aṣ-Ṣāmit RA was then around forty years old. A dark-complexioned well-built man, he was frequently described as handsome. Ubadah ibn Aṣ-Ṣāmit RA was one of the ten given glad tiding of Paradise. He participated in every battle Rasulullah SAW fought and was one of the scribes who wrote the Wahy for Rasulullah SAW. Ubadah ibn Aṣ-Ṣāmit RA wife, Umm Haram bint Milhan RA was Anas b. Malik’s RA maternal aunt. Rasulullah SAW visited them quite often and it was in their house that he saw a group of his followers in a dream, which looked like kings, sailing in a ship, and announced they were of Paradise. She pleaded that she be among them. He assured her that she will be among them. She was on the fleet that conquered Cyprus during Mu`awiyyah’s time. On her return journey she died when she slipped down from a mule. His son, Walid, recalls that someone sent Ubadah ibn Aṣ-Ṣāmit RA a gift. Believing that his neighbor needed it more than he himself, he sent it across to him; who passed it on to someone needier. By the next day it was back at `Ubadah’s house. Rasulullah SAW sent him a new Muslim to teach him Qur’an and Islam. The man gifted him a bow after the course was over at the time of departure. But when Ubadah ibn Aṣ-Ṣāmit RA showed it to Rasulullah SAW, he commented that it was a bow of fire. During the time of Caliphate Saidina Umar Al Khattab RA, there was request for reinforcement from Syrian front. Saidina Umar Al Khattab RA sent Ubadah ibn Aṣ-Ṣāmit RA and three others, each heading a force of 1000, with a message that the four were equivalent of 4000 warriors. Ubadah ibn Aṣ-Ṣāmit RA was there at the fall of Hims, a stronghold of the Romans. Ubadah ibn Aṣ-Ṣāmit RA also participated in the fall of Tartus. Ubadah ibn Aṣ-Ṣāmit RA was commandeering the Right Flank during the last battle the Romans put up at Qaysariyyah. It was a hard fought battle. Muslims were repelled several times. Finally, `Ubadah climbed down his horse and began advancing towards the Romans. Several others joined him. Ultimately, they became a big block moving forward. The Romans could not withstand and the day was for the Muslims. 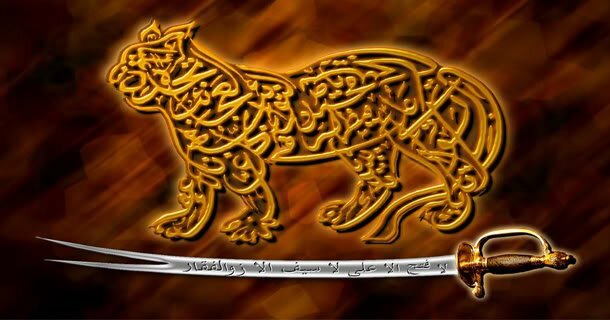 When Muawiyah RA led an army into `Amuriyyah, he had a force of 10,000 with him which included Abu Dharr GhiFari RA, Shaddad b. Aws RA, Abu Ayyub al-Ansari RA and `Ubadah b. As-Samit RA. What army could stand before these Companions, even if few in numbers? At Alexandria, `Ubadah b. As Samit RA was sent heading a delegation to the Roman commander to work out terms of treaty if it could be struck. But the white Romans waxed proud and said they did not like to negotiate with a black. `Ubadah told their commander that there were 1000 black men in the camp behind him each of who would not fear to confront 100 men at a time. The commander was alarmed by the conviction that resonated with `Ubadah’s voice. He attempted to first intimidate him with the news of the imminent arrival of a Roman force and then bribe him. But Ubadah b. As-Samit RA stubbornly told him that Muslims actually welcomed battling any force as it would eventually result in victory or martyrdom, two desirable consequences. 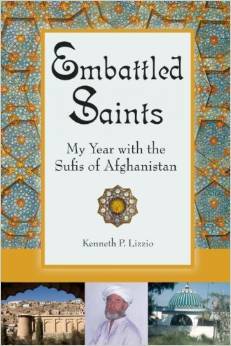 Ubadah b. As-Samit RA gave him three options: accept Islam, pay Jizyah, or fight it out. Following consultations, they opted to fight it out, and the same day the castle fell to Muslims. Ubadah b. As-Samit RA was a fearless warrior. Once while the Muslims had besieged a fort, `Ubadah b. As-Samit RA was found alone praying in a field. A few Roman soldiers came down, but before they could come close, he jumped to his horse and advanced towards them. They took a U-turn in panic and dropped down their arms to distract him in the chase. But Ubadah b. As-Samit RA chased them until they were in the safety of the fort. As he returned, he paid no attention to the arms they had dropped down. But Ubadah b. As-Samit RA he was not a mere warrior: he also knew how to plan cities as an architect. With `Amr b. al-`Aas RA, he was involved in planning and developing the city of Fustat and was also involved in building the first mosque in Egypt which exists till today and is known as the mosque of `Amr b. al-`Aas RA. It is said that he wrote the entire Qur’an in Kufi script on the periphery and on the walls from top to bottom on marble so that anyone could read it while seated. The whole of this was destroyed by the British during their occupation of Egypt. Amr ibn Al-‘As RA was commander of the army sent to conquer Egypt during the Caliphate of Umar ibn al-Khattab RA. After the conquest, Amr became Egypt’s first Islamic governor (wali). The Muslim forces laid siege to the Babylon Fortress in 641CE (in the area known as Coptic Cairo today) where al-Muqawqis, the Egyptian Ruler was holed up. General Amr ibn Al-‘As RA sent a delegation of ten men, headed by Ubadah ibn as-Samit RA, to speak with al-Muqawqis. Ubadah b. As-Samit RA was black, and when the delegation traveled by boat to al-Muqawqis and entered his place, Ubadah stepped forward and al-Muqawqis was alarmed because of his blackness. Ubadah b. As-Samit RA went forward and said, “I have heard what you said. Among my companions whom I left behind are a thousand men who are all as black as me, and even blacker than me and more terrifying to behold. If you saw them you would be even more alarmed. My youth has gone, but nevertheless I would not be scared if one hundred men of my enemy wanted to face me all at once, and the same is true of my companions, for our hope and our desire is to strive in jihad for the sake of Allah, seeking the pleasure of Allah. The reason for our campaign against our enemies who wage war against Allah is not hope of worldly gains or the accumulation of wealth; rather Allah has permitted that to us and made the booty we acquire permissible for us. But none of us cares whether he has a qintar of gold or has nothing but a dirham, because all we want from this world is something to eat and ward off hunger, and a cloth to wrap around ourselves. If one of us owns nothing more than that, that is enough. If he gets a qintar of gold he will spend it for the sake of Allah and be content with the little that is left in his hand, because the pleasure of this world is not true pleasure and its luxury is not true luxury; rather real pleasure and luxury come in the Hereafter. A Man with Excellent Religous Integrity. Ubadah b. As-Samit RA was one of those who were appointed by Caliph Umar Ibn Al Khattab RA to teach the people Qur’an and Islam. Ubadah b. As-Samit RA remained in Hims( Nowadays Homs) until the people were competent in the Qur’an and then left for Palestine where he remained the rest of his life as a state-appointed Qadi. His students included such renowned Successors as: Muhammad b. Rabi`ah (a younger generation Companion); Abu Muslim al-Khawlani; Jubayr b. Nufayr; Janadah b. Abi Umayyah; Abdul Rahman b. `Aseelah Sanabihi; Abu Idris al-Khwalani; Abu Ash`ath San`ani; Kathir b. Murrah and others. According to well-established reports, he died in the year 34 H in Palestine (at Jerusalem) when he was 72. His last narration on his death bed was, whoever said, ‘There is no Deity save Allah, and Muhammad is His Messenger,’ will be spared Hellfire. When his son requested him to declare his will at the time of death, he asked him to help him be seated and then gave this piece of advice: My son, you will not experience full bliss of faith (Iman) nor will you fully comprehend it until you believe in destiny governing good and evil. When death approached him, he asked to be moved to the courtyard and to collect together his homefolk, relatives, slaves, neighbors and others. He asked them whether they had any claim on him (such as a misbehavior, a taunt, a wrong, etc.). When they said he had been like their father, he made Allah witness. Before breathing his last he requested that when he is dead, ‘Let each of you make a goodly ablution, enter a mosque, Pray and then supplicate for my forgiveness.’ This demonstrates how fearful of Allah one of the ten given glad tiding of Paradise was. Brief historical facts about the ancestral roots of Ubadah Ibn As Samit RA. And Who Was That Black Man? As I mentioned in my previous post, when Muqawqis, the 7th century Greek ruler of Egypt, saw the extreme blackness of Ubadah ibn Al-Samit’s complexion when he stepped forward to speak as the leader of the delegation sent at Muqawqis’s request, he shouted: “Get this black man away from me and send forward someone else to speak!” Let’s take a closer look at who Ubadah ibn Al-Samit RA was. He is Ubadah the son of Al-Samit the son of Qais the son of Asram the son of Fihr the son of Tha’alaba the son of Ghanim the son of ‘Auf the son of Amru the son of ‘Auf the son of Al-Khazraj the son of Al-Haritha the son of Amru the son of ‘Aamir the son of Haritha the son of Amr al Qais the son of Tha’laba the son of Mazin the son of Al-Azd the son of Al-Ghawth the son of Nabt the son of Malik the son of Zaid the son of Kahlan the son of Saba the son of Yashjab the son of Ya’arub the son of Qahtan. His mother was Qurrat Al-Ain the daughter of Ubadah the son of Nadla the son of Malik the son of Ajlaan the son of Zaid the son of Ghanim the son of Saalim the son of ‘Auf the son of Amru the son of ‘Auf the son of Al-Khazraj the son of Al-Haritha the son of Amru the son of ‘Aamir the son of Haritha the son of Amr al Qais the son of Tha’laba the son of Mazin the son of Al-Azd the son of Al-Ghawth the son of Nabt the son of Malik the son of Zaid the son of Kahlan the son of Saba the son of Yashjab the son of Ya’arub the son of Qahtan. As you can see, Ubadah ibn Al-Samit RA is a descendant of Saba from both his father’s side and his mother’s side. There is a chapter of the Quran which speaks of the people of Saba and the name of the chapter is Saba. “But they turned away [refusing], so we sent upon them the flood of the dam, and we replaced their two [fields of] gardens with gardens of bitter fruit, tamarisks and something of sparse lote trees”. But they were disregardful, of giving thanks to Him and became disbelievers, so We unleashed upon them the flood of the Dam (al-‘arim is the plural of ‘arima, which is a structure or something similar that holds water back [to be stored] for when it is needed), in other words, [We unleashed upon them] the flood-waters of their valley which had been held back by the mentioned [structure] so that they engulfed their two gardens together with all their property. And We gave them in place of their two gardens two gardens bearing (dhawātay, a dual form of [feminine plural] dhawāt; usually [the form dhātay from] the singular [would have been used]) bitter fruit, bitter and vile (ukul may be read as a genitive annexation [ukulin khamtin] in the sense of ‘that which is eaten [thereof being bitter]; or it may be read without [as ukuli khamtin]; and this [phrase] is supplemented [by the following, wa-athlin wa-shay’in min sidrin qalīl) and tamarisk and sparse lote trees. That, replacement [of what they had], is what We requited them with for their ingratitude: and is anyone but the ingrate ever [so] requited? (read hal yujāzā illā’l-kafūru; or read as hal nujāzī illā’l-kafūra, ‘Would We requite anyone but the ingrate?’), in other words, it is only the like of such who is called to account. And We set between them, between Sheba, who were in Yemen, and the towns which We had blessed, with [abundance of] water and trees — these being the towns of Syria, to which they used to travel for commerce — prominent towns, continuous [along the route] from Yemen to Syria, and We facilitated [for travellers] the journeying through them, such that they would rest for the afternoon in one and spend the night in the next, [and so on] until the end of their travel, having no need of any supplies or water along the way; and We said, ‘Travel through them night and day safely’, having no fear by night or by day. But they said, ‘Our Lord, make far apart (ba‘‘id: a variant reading has bā‘id) the stages of our travel’, to Syria: make these [stages through] deserts, so that they could glory before the poor in riding their camels and bearing their supplies and water, and so they behaved wantonly with the graces [bestowed on them by God], and they wronged their souls, through disbelief, and so We made them bywords, [of wrongdoing] in this respect, for those who came after them, and We caused them to disintegrate totally, We scattered them all over the lands. Surely in that, which is mentioned, there are signs, lessons, for every [servant who is] steadfast, [in refraining] from acts of disobedience, grateful, for [God’s] graces. Pledge Of Allegiance – The 1st Pledge of Aqabah – in Mina. Ubadah b. As-Samit RA was one of the chiefs of the Ansar. The Ansar are the two Yemenite tribes – Al-Aus and Al-Khazraj – that occupied Yathrib after the flooding of the Aram Dam. They (the Al-Aus and Al-Khazraj tribes – the Ansar) helped Rasulullah SAW when he and the other Muslims were being persecuted in Makkah. Ubadah b. As-Samit RA was from the Al-Khazraj tribe of Ansar. We shall not associate anyone with Allah (The One God): whether in worship, His attributes, His power or His authority. We shall not indulge in adultery, fornication, and practice or propagate any other indecency. We shall not steal or rob anyone’s property in any manner or under any pretense. We shall not practice the custom of killing children. We shall not falsely accuse or backbite anyone. We shall not disobey you in good deeds and just cause. We shall always follow you, be it hard or easy, to our liking or not, and we shall act according to your commands. We shall follow and obey your decisions even if it be against ourselves and in favor of others. We shall not participate in opposing the deserving persons of authority or positions. We shall support the truth and justice and stand firm under all circumstances. In matters of Allah’s religion, we shall not be afraid for our name, disrepute, disgrace, or blame. The Pledge of Allegiance – 2nd Pledge of Aqabah in Mina. 1. To listen and obey in all sets of circumstances. 2. To spend in plenty as well as in scarcity. 3. To enjoin good and forbid evil. 4. In Allah’s service, you will fear the censure of none. Rasulullah SAW then asked the group to appoint twelve deputies to preach Islam to their people in Madinah, to shoulder the responsibility of implementing the articles of this pledge and to guide the respective men of their own tribes in matters relating to the propagation of Islam. The deputies elected were nine from Al-Khazraj: As‘ad bin Zurarah bin ‘Ads, Sa‘d bin Ar-Rabi‘ bin ‘Amr, ‘Abdullah bin Rawahah bin Tha‘labah, Rafi‘ bin Malik bin Al-‘Ajlan, Al-Bara’ bin Ma‘rur bin Sakhr, ‘Abdullah bin ‘Amr bin Haram, ‘Ubadah bin As-Samit bin Qais, Sa‘d bin ‘Ubadah bin Dulaim and Al-Mundhir bin ‘Amr bin Khunais. Three others were from Al-Aws: Usaid bin Hudair bin Sammak, Sa‘d bin Khaithamah bin Al-Harith and Rifa‘a bin ‘Abdul Mundhir bin Zubair. Once again, those twelve men were sworn to act as surety over the affairs of their people just as the Christ’s disciples did, and Rasulullah SAW would act as surety over his people, meaning all the Muslims. Somehow or other, the news of these secret desert meetings with the Madinian leaked out. Rasulullah SAW immediately knew that it was a certain pudgy ugly devil, inhabited in Al-‘Aqabah, who discovered their meeting, and he threatened to settle his account with him as soon as possible. Do you know who the above-mentioned Al-Abbas ibn Ubada ibn Nadla is? Remember that Ubada ibn Al-Samit’s mother is Qurrat Al-Ain the daughter of Ubada the son of Nadla, so Al-Abbas ibn Ubada ibn Nadla is the maternal uncle of Ubada. A more elaborate version about the Conquer of Egypt from the Roman-Byzantine. When Caliph Umar ibn Al-Khattab RA told Amru ibn Al-Aas RA that he was going to send 4000 soldiers to help him complete the conquest of Egypt, he told him that he was going to put at the head of every 1000 men, a man who is equal to 1000 men. One of these men who equaled 1000 men and who was assigned to lead 1000 of the 4000 men was Ubada ibn Al-Samit RA. When the Roman forces all reach Yarmouk and settled at a place near Golan, a scout was sent to observe the Muslim army. The assembled army consisted of contingents of Romans, Greeks, Slavs, Franks, Georgians, Armenians and Christian Arabs. This force was organized into five armies, whose commanders were: Mahan, King of Armenia who commanded a purely Armenian army; Qanateer, a Slavic prince commanded all the Slavs; Jabla bin AI Aiham, King of the Ghassani Arabs, commanded an exclusively Christian Arab force. The remaining contingents (all European) were placed under Gregory and Dairjan. Mahan was appointed Commander-in-Chief of the entire Imperial army. The Ghassani Arabs, as I mentioned earlier, were Yemeni Arab descendants of Saba who settled in the area of Syria. The ancestor of the Ghassanids is Imr Al-Qais the son of Mazin the son of Al-Azd and the ancestor of Al-Khazraj is Imr Al-Qais’s brother Tha’alaba the son of Mazin the son of Al-Azd, so the Ghassanids and Al-Khazraj are cousins. The Ghassanids were a Roman vassal state and the Romans found them (the Ghassanids) a powerful ally in Syria. They (Ghassanids) were the buffer zone against the other Bedouins penetrating Roman territory. The Muslims heard him and then informed their Commander Abu Ubaida and Abu Ubaida went to him personally wearing a garment made of cotton and a black turban and a sword around his waist. When he reached Jerjeer, his horse kicked after the neck of his horse touched Jerjeer’s horse’s neck. Abu Ubaida (RA) said, “Oh disbeliever. Say what you have to say and ask what you want to ask!” Jerjeer then said, “Oh you Arabs! Don’t let your saying that you defeated the Roman soldiers in many battles and that you conquered many Roman territories and have taken much of their land deceive you! Look at the armies that have come to you now. We have formed a coalition and the Romans have made an alliance to not turn away and not be defeated and to stand until the last man. And as you can see, you don’t have the power to face us. So go back to your land. You have taken what you have taken from the lands of Emperor Heraclius. The Emperor has decided to let you keep his lands that you have taken during these three years and keep the weapons and gold and silver that you have taken. When you entered Syria you were destitute, so accept what has been offered to you. Otherwise, you will be destroyed”. Jerjeer then returned to Mahan and informed him what happened and suggested that he send one of the Christian Arabs to go and speak to the Arabs. He said, “Those Arabs incline toward each other.” Mahan agreed and he sent for Jabla ibn Al-Aiham the Ghassanid and said to him, “Oh Jabla. Go to them and frighten them by telling them how large our numbers are. Place fear in their hearts.” So Jabla set out and when he approach the camp of the Muslims, he shouted in a loud voice, “Oh Arabs! Send forward someone from the Children of Amru the son of ‘Aamir so that I can speak to him about what I was sent for”. Look above at the ancestors of Ubada ibn Al-Samit to remember who Amru ibn ‘Aamir is. When Abu Ubaidah (RA) heard what Jabla ibn Al-Aiham said, he said to the others, “They have sent someone from our race. They want to deceive us through family ties and kinship. Send them someone from the Ansar from the Children of Amru ibn ‘Aamir. Ubada ibn Al-Samit (RA) quickly came forward and said, “Oh Commander. I’ll go to him and see what he has to say and answer him”. So Ubada ibn Al-Samit RA mounted his horse and set out in Jabla’s direction until he was in front of him. Jabla ibn Al-Aiham looked at a tall, very black-skinned man as if he is from the tribe of Shanua in front of him and he (Jabla) stood in awe and his heart became full of fear from the man’s massiveness. Jabla then said to the tall, massive, very black-skinned man in front of him, “Oh young man. Who are you from?” Ubada ibn Al-Samit RA said, “I am from the Children of Amru ibn ‘Aamir.” Jabla said, “Greetings. And who are you?” Ubada said, “I am Ubada ibn Al-Samit, the Companion of Rasulullah SAW. Ask what you want to ask.” Jabla then said, “Oh cousin. I have come forward to speak to you because I know that most of you are my family and kin. I have come to give you advice. These people who are in front of you have come with armies the like of which you have never seen before. That the Prophet (saw) ruled that Hamal bin Malik Hudhali Al-Lihyani should inherit from his wife who was killed by his other wife.